In America, shopping might just be the most popular pastime of them all. Spending our hard-earned money on things we love is a natural part of modern society, and there are countless brands out there all creating new items each and every day. But why would you want to pay the highest prices for these products if you can get them so much cheaper elsewhere? Instead of shopping at regular retail stores, be sure to check out an outlet mall for your next Virginia shopping trip. 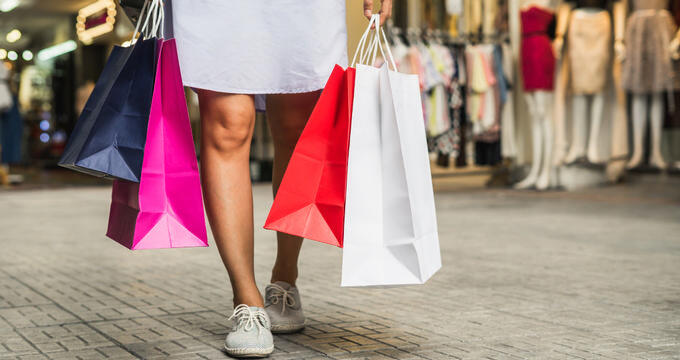 Many different outlet stores and malls can be found all around Virginia, and these locations work by offering a direct connection between the general public and the brands themselves. Without any middle men or third parties, the prices stay low and affordable, helping you buy more of the goods you want and save cash. At an outlet store, you never have to pay over the odds. Outlet malls often feature 100 or more individual stores, including major brands from both the United States and abroad like Calvin Klein, Kate Spade New York, Skechers, Fossil, Gap, Guess, Adidas, and so many more. Products from all of these brands can be found at a typical outlet mall for a fraction of their regular retail prices. Malls also run regular sales and special offers, giving you even more ways to save. One of the oldest and most historic states of them all, Virginia plays host several great outlet malls and shopping spots. Tourists and residents in the state can be found flocking to these malls on holidays, weekends, and many other times of the year in order to take advantage of all the great deals and low prices on display. If you're looking to do some outlet shopping in Virginia, check out one of the top locations listed below. Part of the Simon Center chain of outlet malls, which has dozens of locations all around the United States and several right in the state of Virginia, the Leesburg Corner Premium Outlets are conveniently located, not far outside of Washington D.C. and Baltimore, not far from the Maryland border, so it’s in the perfect spot not just for Virginia residents, but for people in neighboring states as well. Open for most of the day, every day of the week, this outlet mall can get very busy on weekends and special occasions like Black Friday, with countless shoppers eager to enjoy the awesome deals and low prices offered by the mall's 100+ stores. Some of the top brands you can find at this lively location include Calvin Klein, Tory Burch, Nike, Michael Kors, Coach, Kate Spade New York, Adidas, Under Armour, Vineyard Vines, and Restoration Hardware. Originally opened way back in September of 1985, Potomac Mills is one of the oldest outlet malls in all of Virginia. Sitting in pride of place in the Washington D.C. metropolitan area, this mall has been serving the nation's capital and surrounding cities for several decades now and continues to be one of the most-visited locations in the state, offering unbeatable deals all through the year. Potomac Mills features more than 200 stores in total, making it the biggest outlet mall in Virginia, with some of the top brands at this indoor center being Very Bradley, Nike, Kate Spade New York, Saks Fifth Avenue Off Fifth, Bloomingdale's, Talbots, Michael Kors, and Nordstrom Rack. For every kind of product, this is a great Virginia mall to visit and it also features more than two dozen eateries and an 18-screen AMC movie theater. Once known as Prime Outlets and Berkeley Commons, Williamsburg Premium Outlets is another of Virginia's top shopping destinations and got started way back in 1988. Extensive renovations in 2008 have helped to modernize this mall and bring it into the 21st century with style, and it's now part of the nationally-known Simon Center chain. Williamsburg Premium Outlets offers more than 120 individual stores, with major brands in all categories from high-end fashion to casual sportswear. Some of the highlights of this mall include outlet stores for J. Crew, Cole Haan, Coach, Michael Kors, Kate Spade New York, Calvin Klein, and Banana Republic, with prices slashed by up to 65% compared to other retail locations around the United States.